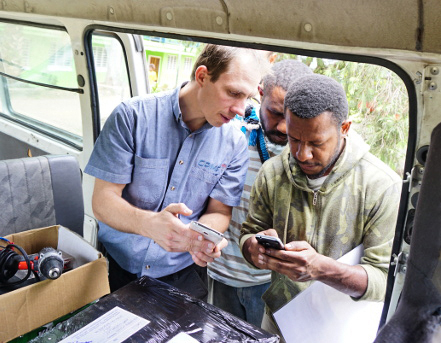 The Tertiary Students Christian Fellowship (TSCF) invested in two WIFIBIble devices which they then presented to the Highlands Regional School of Nursing and Goroka Business College. In the Highlands Reginal School of Nursing, the WIFIBible is set up in their recreational hall where most of the students hang out and study. WIFIBible had provided them with another way of passing their time, by creating an opportunity to access and download free biblical contents tot their mobile devices. 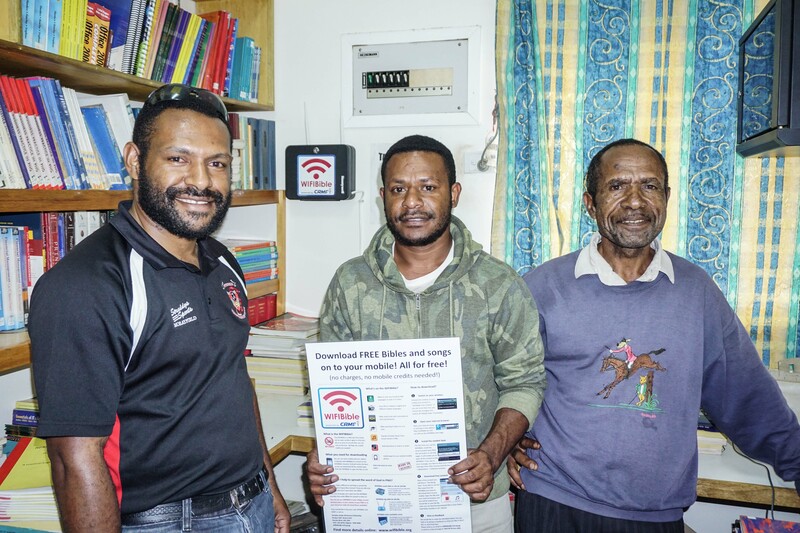 .At the Goroka Business College the WIFIBible device is setup in their library. The library is a quiet place to research and study. 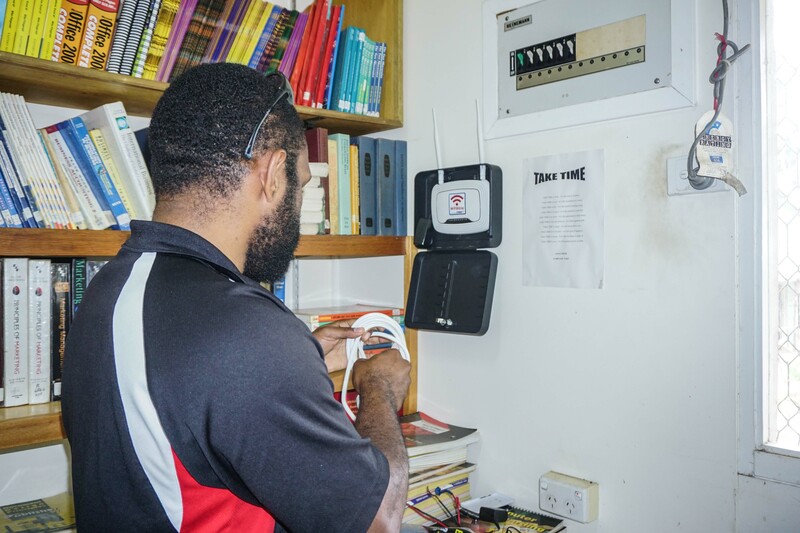 The books and the resources in the library are to be borrowed and given back, but the WIFIBible has provided a way that students can access and download resources for free which they can use themselves and share with others. Lukas with a student going through how to access files via the WIFIBIBLE.